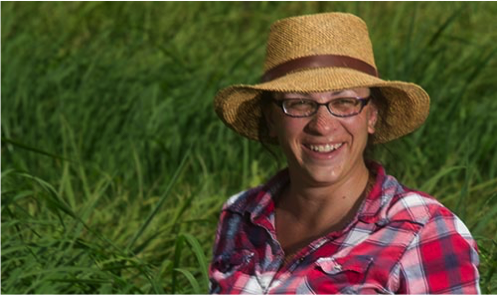 Whitney Brim-DeForest is the newest addition to the UC Cooperative Extension Farm Advisor rice team. She will be based out of the Sutter-Yuba Office, but will serve Placer and Sacramento counties as well. She holds a Ph.D. in Horticulture and Agronomy and an M.S. in International Agricultural Development (both from UC Davis), and a double B.A. in Biology and Music from Brown University. Before starting her graduate work, she served as a Peace Corps Volunteer in Senegal, West Africa, for three years, where she worked with growers in a variety of crops, including rice, sorghum, corn, and cowpeas. Since 2012, she has worked at the Rice Experiment Station in Biggs, CA, managing the field trials for the UC Weed Science program in rice. Why do you want to work in Cooperative Extension? I really enjoy being out and about in the field, talking to growers and PCA's. I prefer doing research that can have an immediate impact, that results in new tools and information that growers' can use in their own fields. I find that I learn a lot from growers' and PCA's, as they are in the fields every day, and are often the best at identifying the potential implications of a research idea--the risks and benefits to growers. I am a weed scientist by training, and so far, my research has been primarily focused on weed agroecology: the interaction of weeds with the rice field environment. Since I started at UC Davis, I worked first with Dr. Albert Fischer and then with Dr. Kassim Al-Khatib at the Rice Experiment Station (RES) in Biggs, where I managed the weed science field trials. During my time at the RES, through the herbicide-resistant weed testing program, I met many growers and PCA's and I am looking forward to meeting more of you! 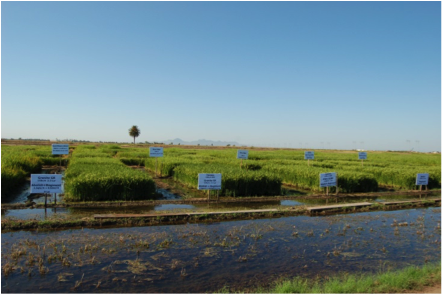 Weed control plots at the annual Rice Field Day at the California Rice Experiment Station in Biggs, CA. What are your research and outreach plans for the future? This season, I plan to spend time getting to know Sutter, Yuba, Placer and Sacramento growers and PCA's, and to familiarize myself with the location of your farms, fields, and places of work. I'm looking forward to meeting as many of you as possible, so that I can begin understanding the issues that you identify as the most important. Some of my future outreach ideas include a rice-specific workshop on weed management and identification and some videos on weed identification and seed collection. 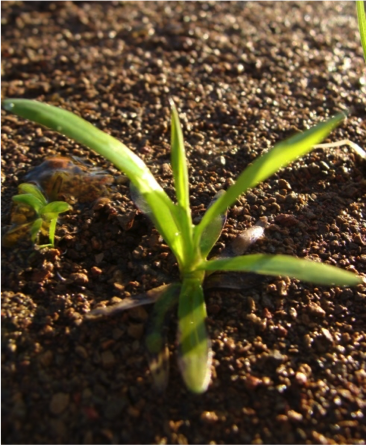 With the other farm advisors, I will be involved in research on the emerging weed issues, including red rice and the winged primrose willow. Currently, I am involved in research focusing on identifying and managing herbicide resistance, since that is a concern for many rice growers. Over the next 1 to 2 years, this will include surveying and screening for resistant populations in growers' fields.